← Bottrop-Ebel depicts your past, just the way you want it to be! Talking about Bottrop-Ebel 76′ from Michael Wolf in the previous post and the sense for community that radiates all throughout the book, invites me to show you a little something more Please refer to the previous post https://arteodigest.wordpress.com/2014/04/14/bottrop-ebel/). First thing first, I d like to tell you what happened to the village where my family comes from. As you can easily guess the mines closed down, many families left for brighter mining horizons here and there leaving older people behind. Village population decreased of more than 2k individuals and now everything is being bought by cross-border workers from Belgium, Luxembourg or larger cities in France as prices there went mad. On paper it sounds like another cultural mixing settlement cycle just like it was in the 30’s, things are fairly different though… People are not working together anymore, sparsely contact each other, barely know their neighbours and leave for the weekend. What does this have to do with photography now? Well, I figure that photography evolved the same way. If the actual village DNA changed this much, is there an actual way we could witness it through photography? 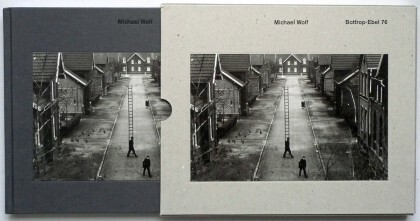 In BOTTROP-EBEL 76′ Michael Wolf obviously was looking to communicate this sense for community through his pictures. Each frame of this book recalls the fact that the people had to live with each other, whether for killing the pig and share the meat, working at the factory being a link in the production chain or being the accordionist that makes the people dance in the cellar club. Not exactly what you would call objective though, considering the socio-economical context of that area of Germany in the early 80’s. And the book format emphasises all this by connecting frames to each other, inviting the reader to naturally connect the dots between the pages. Photo book designers and publishers are curators! A few years ago, while asking my dear grandma to show me her wedding pictures, she showed me a collection of photos she got from the whole neighbourhood. That was back in the days where nobody was a photographer but the photographer (That kinda changed didn’t it?!). Based on this material, I then composed my first postmodern ironic appropriation artwork and it is now here for you to see! Ok ok those all were taken by the same photographer (mr. Pierrard) who did a stunning work in recording the first steps of a thousand newly formed families in that region. What does this work show up is clearly a sense for community. This should be put in the light of modern wedding photography. 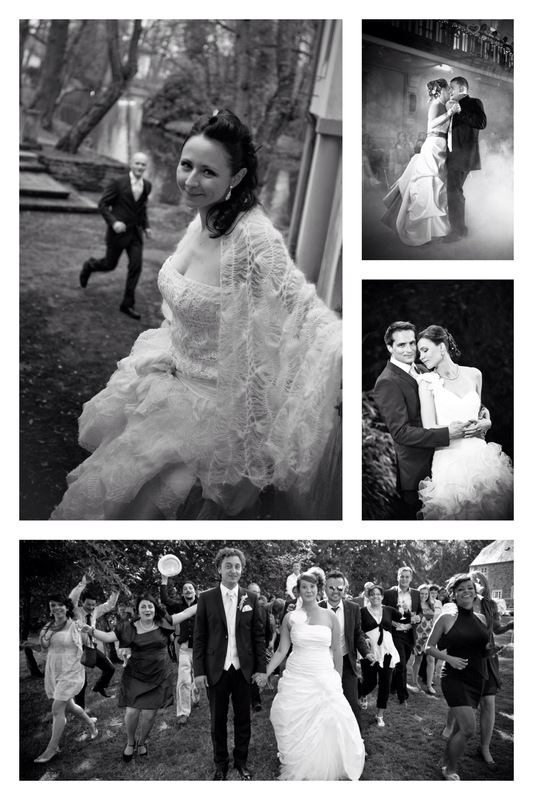 I have been a wedding photographer myself and would always go to see the customers and ask them what they wished for. They would come up with a tablet or magazines filled with ideal wedding photos in the style they would want to be seen on their wedding album. They would from time to time even come to me because my style was different from x, y or z wedding photographer and would match with their personal taste (note the use of a bold font). Why this? Through the common act of marriage people just want to be uncommon. A way to shout out loud how unique the story of their love can be. The act of marriage being individualised, within the frame formed by the strict rituals and visual codes dictated through tradition. 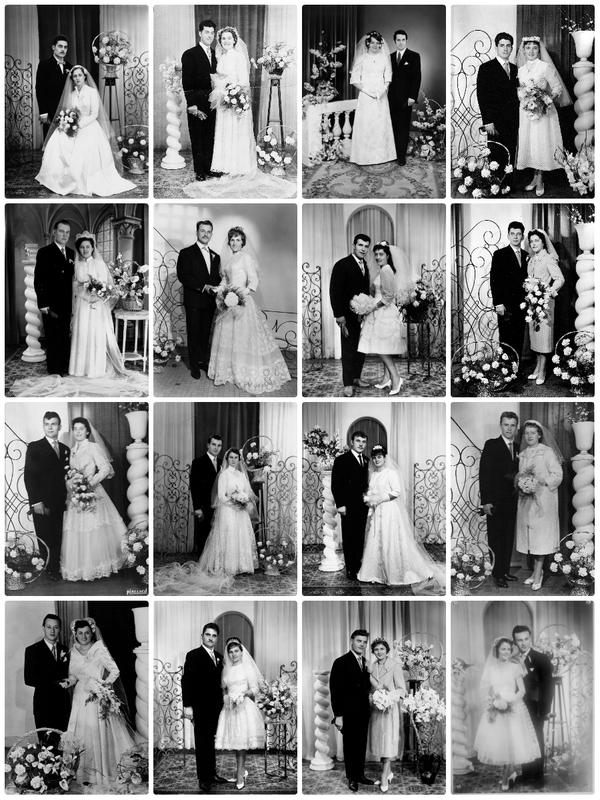 When I look at this series of 16 vintage photographs I see a loud statement of a community welcoming newly married couple to become part of a the BIG PICTURE. The only affirmation of the self lays in the hand of the bride and her choice for a less or more conservative dress. What made this switch possible? Well technique surely helped with an access to mobility, sensibility and reactivity through the evolution of the camera. Cameras being also more and more accessible also meant more and more people using them, exploring along a whole new set of visual codes. Just like with music: back in the days you could pick among two or three genres and one radio station per country. Then jazz, then rock and roll arrived, with their set of styles and attitudes… Nowadays, claim something like “cool, I love this techno sound” someone beats you to death screaming “do I look like someone listening to Techno to you?! This is Northern Liquid drill&bass you idiot!”. ……….. Well……… Same happened to wedding photography. Drawing conclusion on “what caused what?” would just be like trying to answer the question of who came first between the egg or the bride. Humm egg or bird sorry. By arranging a few photos together we can however have the viewer questioning what he sees. Different arrangements, different questions. This is what the photo book does to us, by carefully arranging body of works creating new meanings that stand above the simple sum of a bunch of photographs, no matter how good they individually are. All this said and back to our wedding business, it would be cheap to conclude this messy post with a conclusion like “That was all better before”. This entry was posted in fine arts, photography and tagged France, Lorraine, philosophy, Photography, sociology, tucquegnieux, vintage, Wedding. Bookmark the permalink.